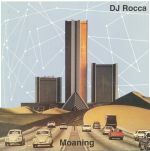 Review: After taking us on a drug chug at the start of the year DJ Rocca serves up 2 tracks for the next EDSC Release. Lets Go Party kicks things off.... stabby chords, Roland percussion, catchy vocal shots, bass-line and massive E'd up breakdowns make this a must have slate for your box. Th remix comes in the form of an Italo banger from a fave of the El Diablo's cartel - Brioski who goes straight for the heart of the dance floor and rips it right out. Slumber slows the pace down a bit sounding like something from a late 70's Italian horror movie...pulsating chords & echoey piano reminiscent of Claudio Simonetti & John Carpenter. El Diablo's Social Club remix stays in the same vein making making sparse use of the eerie piano whilst adding a chuggy bassline, heavy arps and some extra guitars courtesy of Crazy P's Tim Davies. Review: Roam Recordings out of San Francisco have been at it since the early noughties releasing great stuff by the likes of local heroes Justin Martin and Demarkus Lewis through to Rhythm Plate and even Tone Of Arc or Heretic in recent times. Next up is Luca Roccatagliati a legendary Italian DJ, musician and producer who had collborated with Daniele Baldelli and Dimitri From Paris over the years. On this nice EP he serves up "Maccheroni" a deep and semi-balaric acid house groove, but it's all about Eric "Dr. Dunks' Duncan's tough rework which really works that 303 acid into something that bit more hearty. On the flip "Aura" is yet more of the same but the remix by Black Spuma (comprised of Gerd Janson and Fabrizio Mammarella) is the real winner here on this sleek, neon-lit house anthem for retroverts.